A new report from TBG for Facebook discovered that the social networking site’s mobile advertising generates 4x more click through’s than Twitter’s ads. The figures were based on 278 million impressions on Facebook ads in June 2012. What’s also interesting is that the report says the CTR on mobile is 14 times more than desktop and Facebook Newsfeeds are the most successful area. This seems to go against expectations from the company in their IPO launch document, which suggested that as consumers are moving towards mobile, there will be a reduction in income as revenues tend to be lower in the channel. There are a few other interesting stats in the report, which can be found on TechCrunch. According to reports in the digital media press, iAd is contacting UK agencies about changes in their pricing policy and structure. In the US, the minimum spend has already been reduced from $1m to $100k, but it seems there will be even further developments. Currently iAd uses a ‘hybrid’ (or double) pricing model of both CPM and CPC for its advertising, which is a major barrier for advertisers. Apple are also expected to increase payouts to developers in order to create further distribution of ad content. The expected changes come at a time when the mobile advertising market is hotting up. Google’s Admob has moved closer to the Adwords model and Facebook are likely to launch a major mobile ad initiative before the spring. 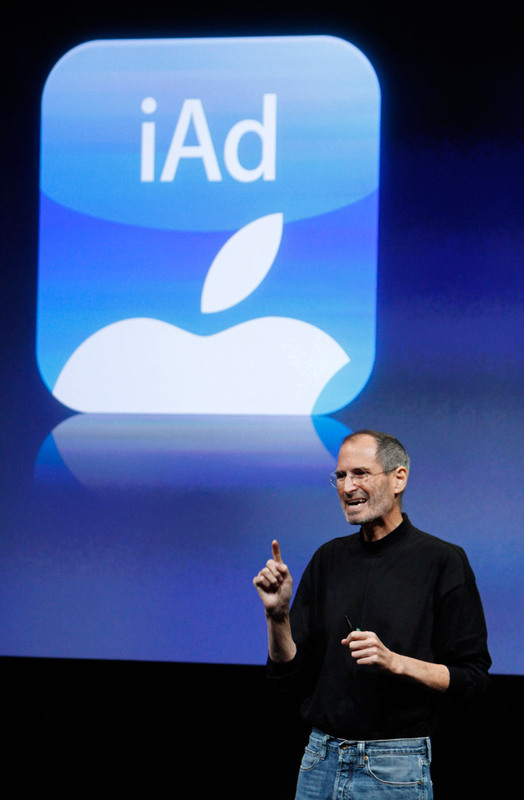 Back in June 2011, I wrote that Apple seemed to be losing interest in iAd and a report by The Digital Times suggested that the recent moves are a last-ditch attempt save the project. Apple have driven the consumer market in mobile, but have failed to ignite the world of advertising. With the amount of profit they’re making, I suspect they’re not too worried about it. A major benefit of the increased use of smartphones is advertising response. You see an ad, and you can immediately connect to the brand through your phone. In TV, SMS has been the most commonly used method, and it has been pretty successful. QR codes have also been tried with less proven results – it’s a pain having to open the QR reader and move towards the TV to scan it. However, audio response, or audio tagging could be the new killer app for TV response. Most people know Shazam as a music tagging service, but the UK company are about to make a big impact in the world of advertising with Shazam for TV. They have already tried other advertising applications and the TV service has been used on some US adverts for a few months. However the ad fest that is The Super Bowl will see Shazam tags used in half of the adverts. The great advantage of audio tagging is the ease with which they can tag an ad. Unlike SMS it’s just a single tap to engage and unlike QR, it works seamlessly from the sofa. Shazam are not the only audio tagging service for TV. IntoNow, which was acquired by Yahoo does a similar job. But Shazam has one a major advantage. They have users. 165 million of them to be exact. They have more users than Google+ or Bebo and 10 times the user base of Foursquare or Instagram. With such a significant audience the potential of Shazam TV could be massive. ‘No Ads’ says Jobs. So where does that leave iAd? Interesting to see that amongst all the figures showing Apple’s mobile dominance at the developer’s conference, there was no mention of iAd. 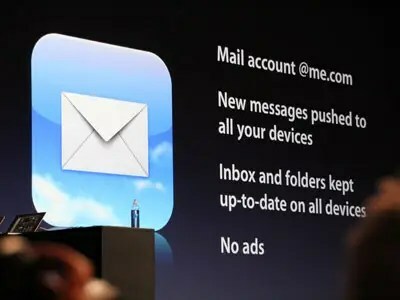 Although Steve Jobs didn’t dismiss iAd as such, when he was speaking about iCloud he said: “We build products that we want for ourselves, too, and we just don’t want ads.” Hmm. OK, so it’s a different channel to iAd, which is focussed on rich media advertising delivered via apps. But it isn’t exactly an endorsement of it. Apple as an advertising network doesn’t seem to sit comfortably with their great product design/user experience philosophy. Having had some conversations with iAd in the UK last week, they still seem to be finding their feet with it. The minimum spend has been reduced, but it is still more than most brands total mobile marketing budget. Neither is there is an ad management platform or automated reporting – something that many brands and agencies would want in order to book and refine their campaigns. Another update to iOS, the Safari Reader will remove ‘clutter’ from browsed sites. That could well include ads, but in spite of enquiries from the marketing press, Apple failed to shed any more light on it. If it does strip out advertising though, then the new update could scupper the rapidly growing mobile advertising market. iPhone users are important to this channel as they tend to be more affluent and browse the web more than anyone else. Without that market, what are the implications for Google’s Admob, Millenial and InMobi? Both the lack of mention for iAd and the possible change in Safari could be a really big deal for mobile advertising. More on the iAd snub here. More on the Safari update here.